Please see the below link for the Christmas and New Year 2018 opening times for the club. 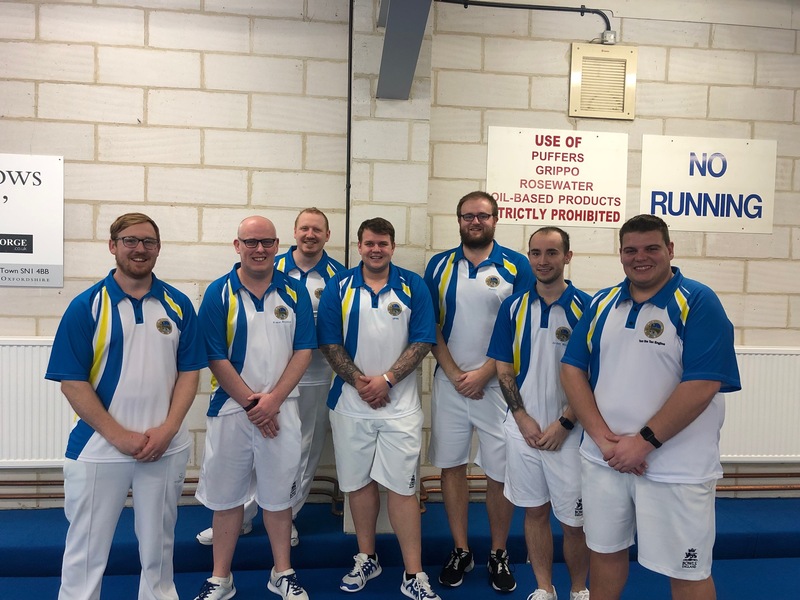 On Saturday 15 December eight players from Five Rivers traveled up to Westlecot IBC, Swindon to present Wiltshire in the Liberty Trophy national competition. The Five Rivers contingent made up one third of the Wiltshire side and one rink featured on the day was made up of four Five Rivers players. Wiltshire beat Oxfordshire 135-121 and booked their place in the national quarter final where they host Devon at Westlecot on Saturday 12 January looking to repeat last year’s victory in the Last 16. Five Rivers are proud to announce the sponsorship provided by Specsavers in Salisbury. 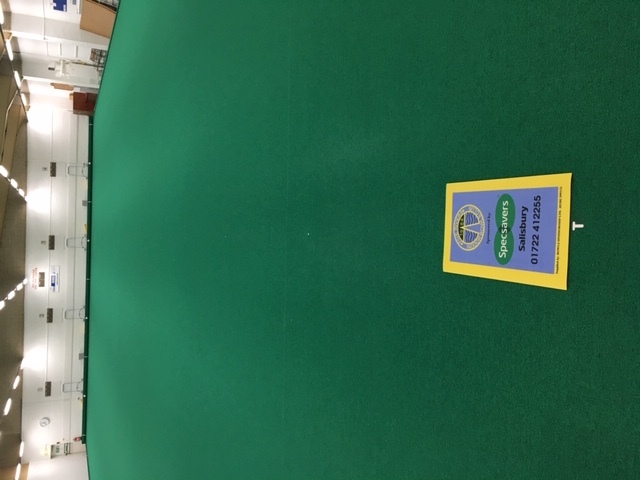 Specsavers have been very kind to sponsor the club for the purchase of new mats to be used on the bowling surface – as you can see from the pictures below they are top quality and the club is very proud to show these off! The Club Committee have invited staff from Specsavers to try out bowls at the club and hopefully pictures will surface shortly! 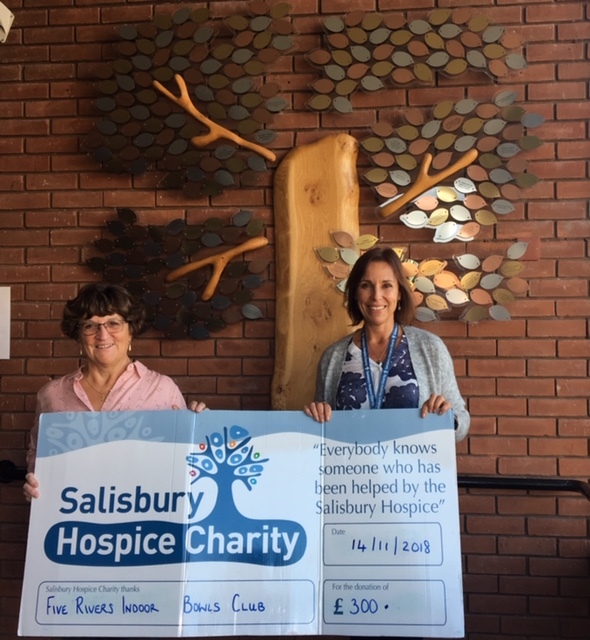 The charity afternoon on Saturday 10 November was a great success raising £300 for Salisbury Hospice. Please see a picture of Club Secretary, Ros Corke, presenting the donation to the charity. The draw for the Salisbury & District John Ash Trophy was made last night by Mick Corden, S&D representative. Amesbury will be looking to retain their title but with several members having moved to Salisbury BC last year, I’m sure the Salisbury outfit will be looking towards their first title in the competition ever since its inception in 2000. The draw can be accessed using the link below. On Saturday 10 November Five Rivers is hosting a charity gala afternoon in aid of the Salisbury Hospice Charity. The afternoon kicks off at 2.30pm and costs £5.50 per person which includes raffle, games and an American Supper. Please come along and support this worthy cause.